100 Squadron ‘Sarang tebuanjangen dijolok’ The first RFC squadron to be formed specifically for night bombing, Formed in Norfolk in 1917 moving to France a month later. Issued with modified FE2B two-seat pushers biplanes and operations against aerodromes, railway stations and rail junctions commenced. By the end of the year, No 100 in conjunction with No 55 Squadron, RFC and Naval ‘A’ Squadron had formed the nucleus of what was to become the Independent Force used for the strategic bombing of Germany with its Handley Page 0/400 heavy bombers. On 15 December 1942, it reformed at Waltham with Lancasters and commenced operations over Germany, surviving the post-war defence cuts and moving to Malaya to join Operation Firedog with its Lincolns during 1950. 100 Squadron now operates in a mixed target facilities role along with exercise and training support which include WSO training, and dedicated aircraft to support the Joint Forward Air Controllers Training and Standards Unit. 202 Squadron ‘Semper vigilate’ No 202 can trace its history back to the early days of naval aviation. It formed at Eastchurch in 1914 and flew operations against Belgian ports and anti-Zeppelin patrols. The unit was swallowed up by No 2 Wing, RNAS in June 1915, but reformed from ‘B’ Squadron, No 1 Wing, RNAS, on 5 November 1916 at St Pol in France with Farman F40s which were used for reconnaissance over Belgium. These were replaced by DH4s in March 1917, and even after the unit became No 202 Squadron, RAF on 1 April 1918, it continued its bombing and patrol duties over southern Belgium. After the Armistice, the Squadron’s aircraft were dispersed amongst other squadrons and No 202 disbanded in January 1920. Within days of the World War II starting, the unit moved to Gibraltar and took over a number of Swordfish floatplanes. Both types were involved in a series of clashes with the Vichy French Forces and these continued until 1941 when the first Catalinas arrived. After participating in the invasion of North Africa in the autumn of 1942, the unit moved to Northern Ireland for anti-submarine patrols over the Atlantic before disbanding in 1945. 208 Squadron ‘Vigilant’ Formed as Number 8 (Naval) Squadron in 1916 at Dunkirk, the unit was immediately passed to RFC control and flew Pups, 1 1/2-Strutters and Nieuport Scouts on a variety of missions. During 1917, the unit re-equipped with Sopwith Triplanes and then Camels and began concentrating its efforts on artillery on artillery spotting. After a period of relative calm in the UK, the unit returned to France just in time for the German offensive of during spring 1918, and became No 208 Squadron, RAF on 1 April 1918. Eight days later, 16 Camels were destroyed on the ground to prevent them falling into enemy hands ahead of the enemy advance. After a year as part of the occupation forces in Germany, No 208 returned to the UK and disbanded at Netheravon in November 1919. The Squadron reformed in Egypt in 1920 with RE8s and then Bristol Fighters. Shortly before the outbreak of World War II, the unit converted to Lysanders. As with many Middle East-based units, No 208 joined the War proper with the Italian declaration of War in June 1940. A number of Hurricanes were received by the end of the year, and both types were active during the advance through Cyrenaica (now Libya) before moving to Greece to join the ill-fated campaign. The squadron eventually returned to the Western Desert with Hurricanes before moving with the Allied invasion of Italy during 1944. 233 Squadron ‘Fortis et fidelis’ No. 233 Squadron RAF operated from 1918–1919, 1937–1945, 1952–1957 and 1960–1964. It was formed from several Royal Naval Air Service (RNAS) flights and took part in the tail end of World War I before being disbanded. The squadron was reformed with the advent of World War II. At first No. 233 Squadron flew general reconnaissance patrols before being tasked with transportation duties just prior to D-Day. On D-day, 30 aircraft took gliders and paratroops to Normandy, followed later in the day by twenty-one more supply flights, 4 aircraft being lost. After carrying out casualty evacuation flights from the beachhead, it supplied 37 sorties to the Arnhem airlift during the first two days, followed by 35 re-supply missions, which lost 3 aircraft in the process. After general transport duties between the UK and Allied-occupied Europe, 24 Dakotas were provided for the last major airbourne attack over the Rhine in March 1945 and in August the squadron began moving to India. By the time it had assembled, the Japanese had surrendered and after a period of general transport duties in South-East Asia, the squadron merged with No.215 Squadron on 15 December 1945. Shortly after World War II the squadron was again disbanded, to be reformed once more in 1960. No. 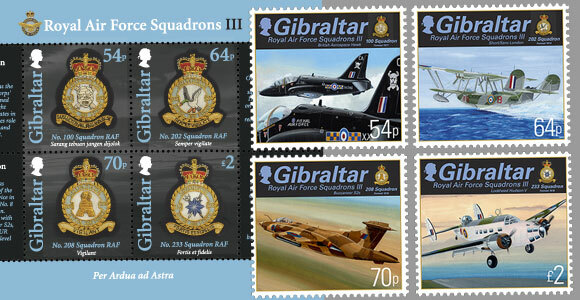 233 Squadron was finally disbanded in 1964.